At Wilson Kia, we understand that looking for car parts isn’t always the easiest, which is why we try to make your experience as painless as possible. Whether you are searching for new parts for your KIA, or you are looking to add some accessories to your ride, our Jackson, MS area Kia parts center is happy to help.Shoppers can feel confident when asking our parts team for help, as our team is very well-versed in every aspect of the automotive industry. You can count on our team to help locate the part you need, and they will go to great lengths to get it delivered for you if we do not have it in stock. We strive to make sure our customers leave our parts center with a smile on their face, so we put their needs above all else. Not only can shoppers find what they need at our parts center, but they can get it at a great price. To add onto those initial savings, our Jackson, MS area KIA parts department offers parts specials. We want our customers to get quality parts at a quality price, so we continuously offer new specials to keep your payment as cheap as can be. Our entire team wants our customers to enjoy their time with us. We don’t want to just be a dealership, we want to be a second home. 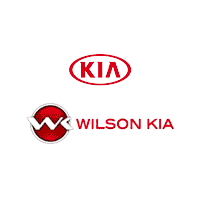 So stop on by and visit Wilson Kia, and we will help you find the parts you need without any hassle. Call our parts department at 601-258-7631 to learn more about what we can do to help or to get information regarding specific Kia parts.